We were named 2018 Agency of the Year by New Jersey Agents Alliance! 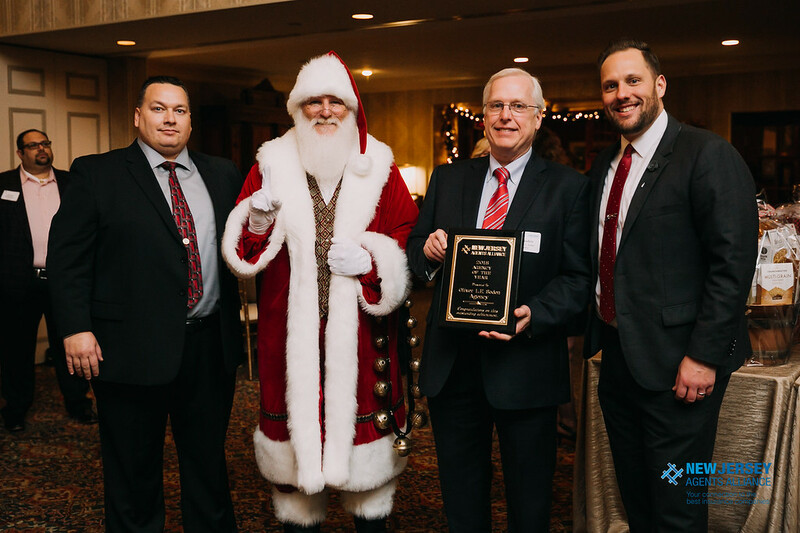 The Soden Insurance Agency is proud to announce that we were named the 2018 Insurance Agency of the Year! The New Jersey Agents Alliance gives this award out every year, and we won in our first year as members. The announcement (pleasantly) surprised us, as our friends at the great McMahon agency had won this award for the three previous years in a row. However, we knew we had a great year, and we plan to make 2019 even better! Thank you to our team, our clients, our company partners and our fellow NJAA partner agencies! All of you actively contribute to our success. The New Jersey Agents Alliance (NJAA) is a group of the finest agencies in NJ that have teamed together for the benefit of our clients. This partnership allows us to give our clients the personal attention they expect from a local business professional. This is because we are all able to remain independent, family owned firms. However, our strategic partnership allows us the resources of a large brokerage. So we are capable of serving the needs of large complex businesses and the estates of high-net-worth individuals, but small enough to care about all of our clients.